DvO – Games for Android 2018 – Free download. DvO – Poorly translated Plants Vs Zombie clone. 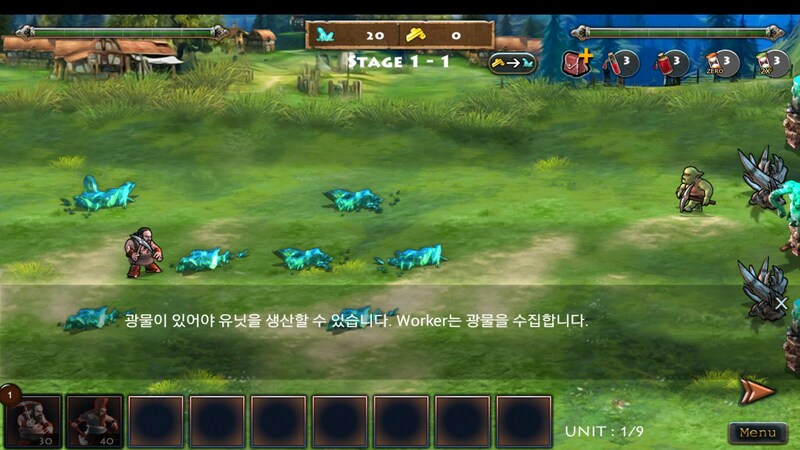 Dwarfs Vs Orcs for Android is a poorly translated (there is no English translation here, or any attempt at it anyway) copy of the popular Plants Vs Zombies. But this time, it’s different, as you plays dwarfs fighting against orcs. The game has the same mechanics with you defending your base. But instead of playing stationary units, you deploy dwarves with different abilities. 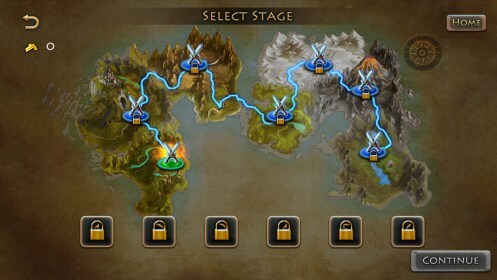 In the first level you have mining dwarves and warrior dwarves. Each do their respective thing, with the mining dwarves mining rock in the middle of the level, and the warriors defending your base against the more aggressive and bigger burly-looking orcs. 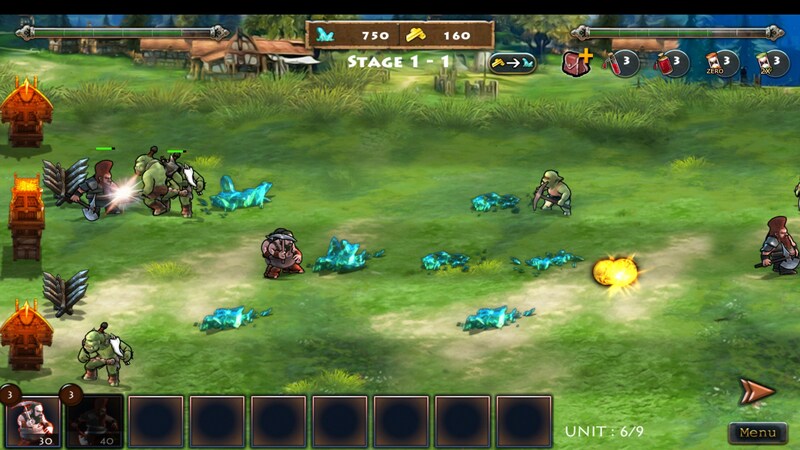 Suffice to say, Dwarfs Vs Orcs doesn’t really feel like it's supposed to be on the app store for any other reason besides for it to make money. The graphics are forgettable, and the gameplay is so derivative that I could find nothing unique about it besides some mechanics, which are slightly different without any purpose. 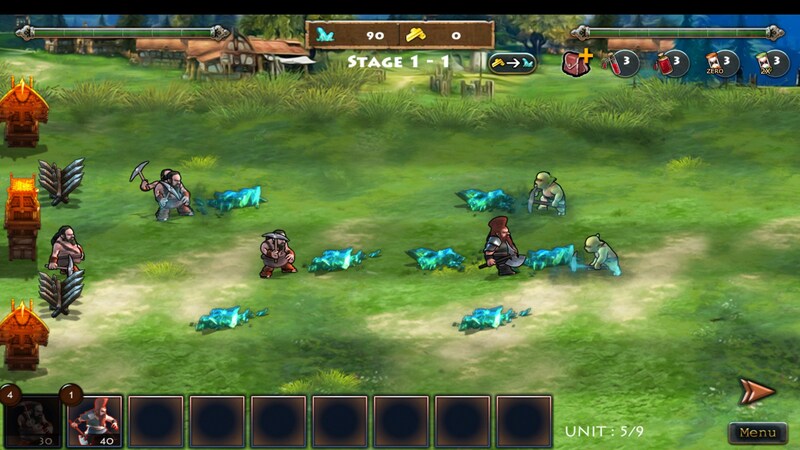 The orcs in the game feel much too strong early on, with your warriors not even being able to take them 1-on-1. Orcs will beat upon your homeland like they are some sort of drum band. It’s not very clear if there is any story in the game besides relying on cliches (not that tower defense games really need exact stories). There isn’t anything horrible about the game, but with the various amount of Plants Vs Zombies, and clones of Plants Vs Zombies, nothing about it feels necessary or worth playing besides its different fantasy-based setting, which doesn’t quite deliver.